Radon is a colorless, odorless, radioactive gas. Radon gas is naturally created from the decay of radioactive elements, such as uranium, which are found in different amounts in soil and rock throughout the world. Radon is extremely prevalent in areas with large levels of granite concentrations. Radon gas in the soil and rock is released into the air and into underground water and surface water through the natural half-life decay process. How Does Radon Effect the Human Body? Radon breaks down into solid radioactive elements called radon progeny (such as polonium-218, polonium-214, and lead-214). Radon progeny attach themselves to dust and other airborne particulates that can be absorbed into the lungs through respiration. As radon and radon progeny in the air break down, they give off radiation that damage the DNA inside the body’s cells. Continued exposure to a high Radon level causes these radioactive cells to replicate in a process called mutagenesis, this process deeply affects the overall cellular activity within lung tissue and causes an observable increase in the chance of contracting lung cancer. A large percentage of Ohio homes have high exposure levels to radon because of how they are built and how much time we spend indoors in our climate. One important factor is that many Ohio homes have basements that are used as main living areas and since radon permeates up through the houses foundation, it puts family members closer to the source of the problem. Public health officials have known about the harmful effects of high concentrations of radon from studies of uranium miners back in the 1950's, but neither geologists nor health officials suspected that a number of Ohio homes harbored potentially harmful concentrations of this inert gas. A radon belt stretching from New York to the upper Plains runs directly through Ohio. 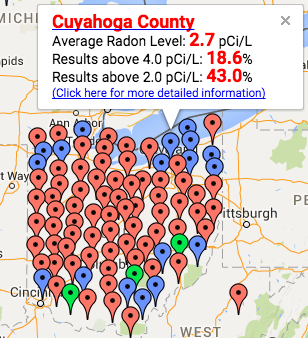 In 2014, over 50,000 Ohio homes had Radon Testing performed to determine the Radon gas levels in their home. Here is the scary part, about half the tests detect radon levels above the Environmental Protection Agency's safe limit of 4.0 picocuries per liter. 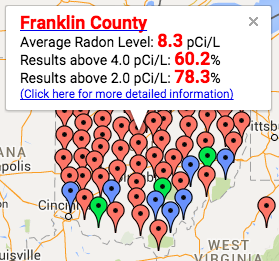 That means over 25,000 homes in Ohio have lethal levels of Radon gas and are in need of Radon Mitigation Services. 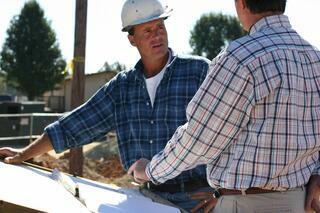 How Can Your Radon Problem Be Fixed? Radon carries risk, even at or below the recommended action level. The risk of Lung Cancer increases exponetially with higher long-term average radon levels. Professional installation of a Radon Removal system draws radon gas from beneath the foundation of the home to be directly vented outside without having a chance to re-enter. According to the EPA, Radon Removal can eliminate up to 99 percent of radon from the home. Radon Mitigation devices, called soil suction radon reduction systems, should always be installed and supervised by a trained Licensed Radon Mitigation Specialist or Radon Remediation Service Provider. Also, re-testing should be done at regular intervals to ensure the quality of the Radon Mitigation Sytstem. Homeowners can drastically reduce their risk of lung cancer, but they must act soon, elevated levels of radon can be found in any Ohio home. 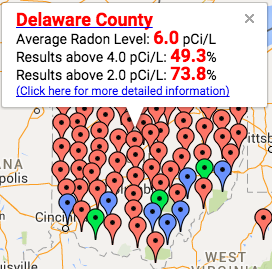 Often, next-door neighbors can have vastly different radon readings — one safe and the other not. If you live in any of the following areas it is imperative that you get Professional Radon Testing performed. The EPA estimates that Radon is responsible for 21,000 of the nation’s 160,000 annual lung cancer deaths. 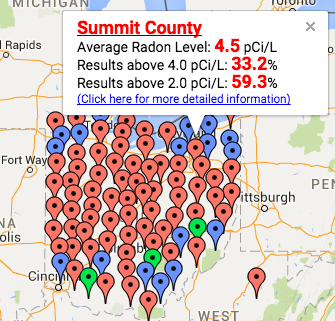 Ohio’s soils contain high concentrations of uranium and radium that deliver a constant stream of Radon toxicity into local homes. 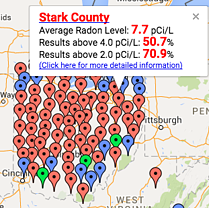 Radon Eliminator is Ohio's Best Choice for Radon Testing and Radon Removal Services.